Welcome to Our Shaklee Family! The Kern family, raised on Shaklee for over 30 years. At Kern Wellness, our team is the definition of a family business. Together, we aspire for our family to live the healthiest lives that we can, and are here to help you do the same. Our Shaklee family is made up of me, my husband, daughter, my mother-in-law as well as our organization of Shaklee Business Leaders, Distributors, and Members who want to be in control of their health and wealth. We provide opportunities for people to feel better, share wellness and help earn income by sharing what Shaklee has to offer. Our mission is to provide a level of personal service that matches the high quality of Shaklee products. We want you to know we are real people who are here for you – to answer any questions, to guide you through our comprehensive array of products, and to ensure you order the products that are right for your family and your lifestyle. If you are interested in becoming a Shaklee Distributor, we have proven marketing and sales tools ready to share and help you get on the path to financial success. It is all at your fingertips. If you want to learn more about the Shaklee Business Opportunity, please contact me. We are here to help support you and help you achieve your health and financial dreams. 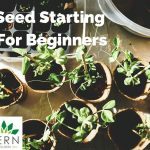 Originally from Boston and now living in Denver, Colorado I have deep passion for gardening, wellness and keeping things fabulous and tasty in the kitchen. Variety is at the core of my active lifestyle, enjoying yoga, gardening, hiking, skiing, camping and just about anything I can do to create new experiences. Most of all, I love helping people and spending time with my family. This winter, my husband Dan and I will be welcoming our second baby girl into the world and we are excited to grow our family. 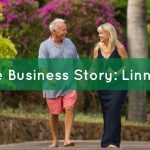 Prior to joining Shaklee, I had spent two years in the Peace Corps helping women become entrepreneurs and worked for five years with the number one girl leadership organization in the country, Girl Scouts. Today, with the support of an amazing and supportive team, I am working to help women build a career with Shaklee. What I love most about Shaklee is that I am sharing wellness and helping others live a life that they desire that is full of freedom, opportunity and purpose. I hail from Cincinnati, and I run the Denver SEO firm…and sometimes the Six String Soul Guitar Blog. I am passionate about wellness, outdoor activities in Colorado and exploring Denver’s evolving culture. Over the years I have also developed an affinity for smoking BBQ, specializing in pork shoulder and baby back ribs, but can also appreciate a healthy green juice multiple times a week. (Thanks Cortney for keeping me healthy!) You’ll also find me creating content about Costa Rica for my longest-tenured Kern Media client, Costa Rica Escapes, such as the Best Time to Travel to Costa Rica and also Where to Go in Costa Rica. Pura Vida! When I was five, I was originally diagnosed with Tourette’s Syndrome, yet have reduced this incurable syndrome to a near unnoticeable state due to nutrition, exercise (yoga) and holistic supplementation provided by Shaklee (…and an incredible mom…Linnie Kern first started our family on Shaklee in the 1970s, and has never looked back). In November 1982, I became a Shaklee Member, wanting to just use a few of the nutritional products. I became educated about Shaklee Corporation, Products, and the Business Opportunity. I found everything interesting, amazing and exciting….these feelings are what made me want to start my own Shaklee business. I spent time understanding the Shaklee commitment to science and research, how and why they develop high quality products. I learned I could become a successful independent entrepreneur, while being a stay at home mom. Thanks to great leadership and continued guidance, 6 months later I decided to become that entreprenuer and build my own Shaklee business. It didn’t take long to realize all the tax advantages of a home based business while earning unlimited income, paid incentive travel, bonus cars and the enjoying the personal freedom I desired. This was a great decision for my family. 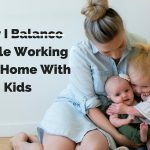 I was able to work from home, while raising 3 small children, have a flexible schedule and no boss. This is freedom. As my family matured, I have been able to expand the business to suit my current lifestyle. The philosophy of my business: Educate. Motivate. Appreciate. Want to Join Our Team? Contact Us!